Welcome! The Mesa Grande Band of Diegueno Mission Indians is a federally recognized tribe located in northern San Diego County, about 75 miles northeast of San Diego, California. We invite you to read more about the Tribe and the beautiful area that has been our home for thousands of years. The reservation encompasses 1,820 acres and is home to approximately 130 of the Tribe’s over 800 enrolled citizens, many of whom farm, raise livestock, or commute to work in nearby towns. An additional 5,795 acres of land, although traditionally recognized as belonging to Mesa Grande, was mistakenly allocated to a neighboring Tribal Band by the United States Department of the Interior through Presidential Executive Order in 1891. The Mesa Grande Band is pursuing legal remedies to recover this land, which is vital to the Tribe’s culture. 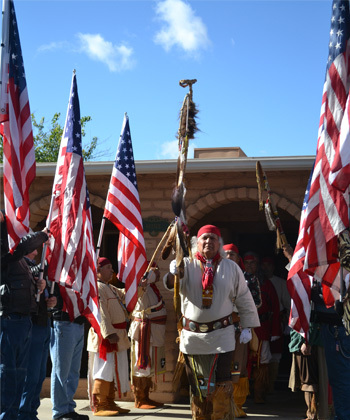 The Mesa Grande Band of Diegueno Mission Indians are direct descendants of the original aboriginal peoples that occupied northern San Diego county since time immemorial. Archaeologists have confirmed that these Native people have occupied the region for at least 12,000 years. The beautiful Mesa Grande Tribal reservation is positioned 3,500 feet above Black Canyon on a high plateau adjacent to the Cleveland National Forest. A remote location, Mesa Grande is a quiet, scenic community just outside the busy streets of San Diego, California. Discover more on our interactive map. Welcome to the Mesa Grande Band of Diegueno Mission Indians photo gallery! From historic images of our ancestors to photos of today, we invite you to see Mesa Grande! The Mesa Grande Band of Diegueno Mission Indians is always pleased to hear from you. Please follow this link to contact our Tribe.